Start pinching those pennies in case you need some cash in a pinch with the Emergency money Savings Bank from Fairly Odd Novelties! Designed to look like a fire alarm or panic switch, this novelty piggy bank makes a fun and colorful addition to any home or office space. Whether you're trying to find a fun way to teach your kids about saving money or just looking for a practical but comical decoration for your office, this bank is sure to satisfy your needs. Start pinching those pennies in case you need some cash in a pinch with the Emergency money Savings Bank from Fairly Odd Novelties! Designed to look like a fire alarm or panic switch, this novelty piggy bank makes a fun and colorful addition to any home or office space. Whether you're trying to find a fun way to teach your kids about saving money or just looking for a practical but comical decoration for your office, this bank is sure to satisfy your needs. 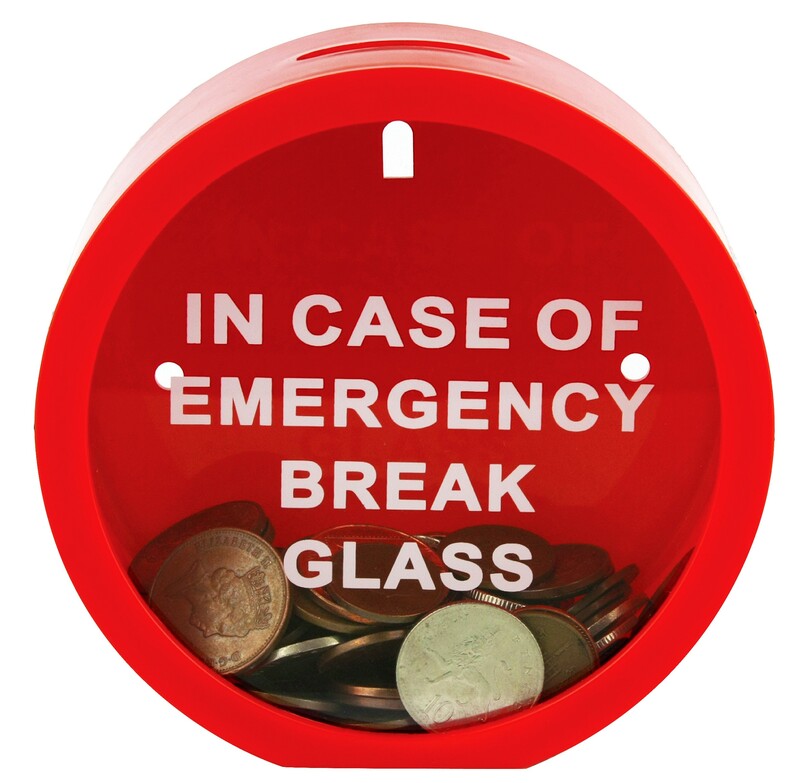 Though it says "In Case Of Emergency Break Glass," there's no breakage or mess necessary, as this container has a removable back should you need to access your money! It also has holes in the back should you want to mount it on your wall or cubicle for the full effect! This makes a great birthday, white elephant, office, or secret Santa gift, and is calculated to produce laughs and smiles every time you save a bit! Order now and start preparing! Container is bright red and comes in gift ready box. Measures 4.75" x 4.75" x 2.00". Does not include screws for mounting.